Home/Design, New and Exciting, Uncategorized/Selecting Art for Interiors: YOU Decide. Selecting Art for Interiors: YOU Decide. When it comes to defining your interior spaces, well-selected and well-placed art can transcend common design challenges. 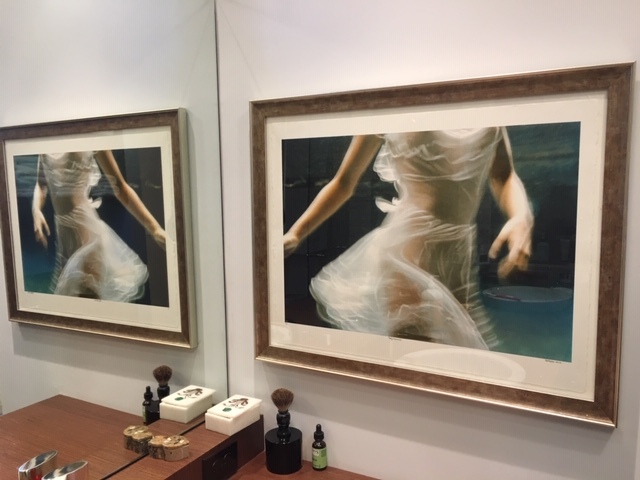 Paintings, drawings, prints, sculpture and photography bring life and texture to your space, but more importantly, your art selections should express who you are, where you’ve been and what’s important to you. And the only art critic who should matter in your home is you. You don’t need to be a sophisticated art connoisseur to select great art. 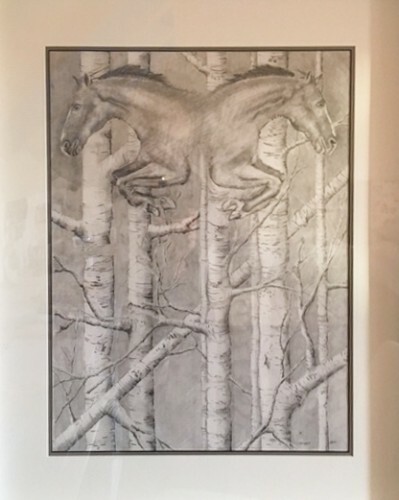 I’ve found amazing art at tag sales and in galleries, in other countries and in downtown Great Barrington. I’ve lucked out with some of my own photographs and informal sketching. I’ve both skimped and indulged when it comes to acquiring art that I connect with. I’ve also decided whether or not some utilitarian object or tool is a work of art. To help my clients with decisions about art, I have a few tips and suggestions — with a few examples of my “curation” methods. Take a stand and select art that pleases you. Don’t be concerned with what people will think. 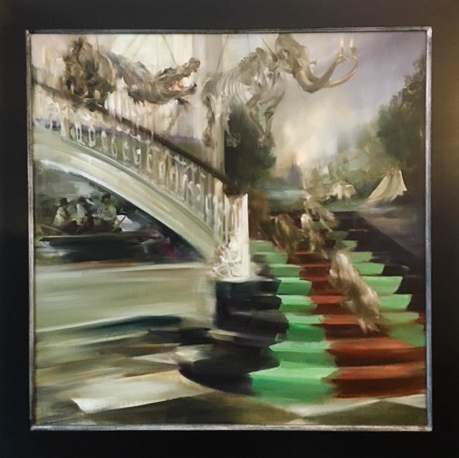 Here is a dramatic painting by Sarah McRae Morton that I was immediately drawn to and now own — but it’s not for everyone. Select art because it makes you happy and you want to live with it. Be eclectic and mix up your choices: if you wait to find that perfect piece for a specific spot, you’re in for a struggle. Below, a photograph by Barbara Cole, which we purchased through the Iris Gallery in Great Barrington. Embellishments are applied through a photoshop process. Find art when you travel, when you are relaxed, free of pressure and able to really see things. Having that piece from a special trip will give you joy and will remind you of how you found it, the café you stopped at afterward, the gallerist you met and how you spent your time. I like to attach an envelope to the back of the piece with information about the experience of acquiring the work. Here is an aquarelle piece by Dominique Duhal, selected on a recent trip and soon to be framed. 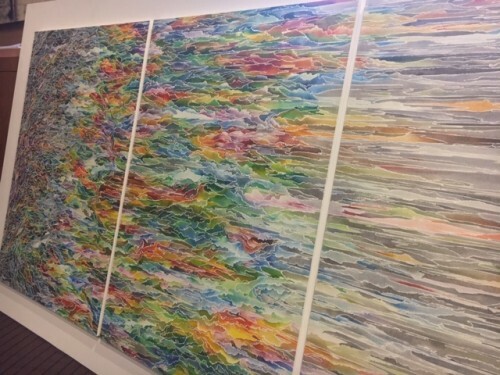 We happened to meet the artist and connected immediately over our reaction to this work. Spending big is not essential, but be willing to invest in great frames. Some of my favorite pieces cost less than $100, like the painting below, which came from a tag sale. It came to life with a new, perfect frame. We love it. 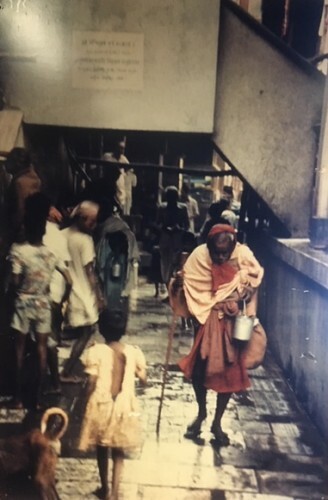 ..and below, a photograph I took in Calcutta, India, in 1983, enlarged to 40″x 60″. It is now in my office. If there is a tool or useful object that appeals to your artistic self, give it a proper place in your space. 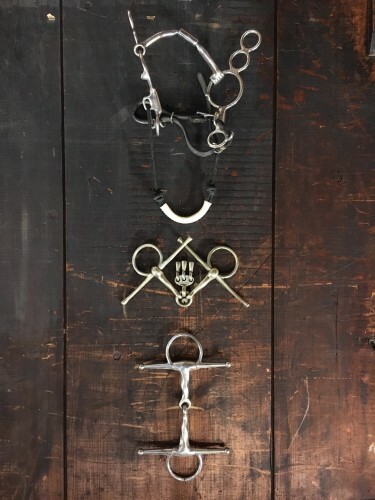 For instance, the design and symmetry of equestrian tack strike a chord for me, since I used to ride competitively. I now keep this display in my office. I own several works by Randy Willier. 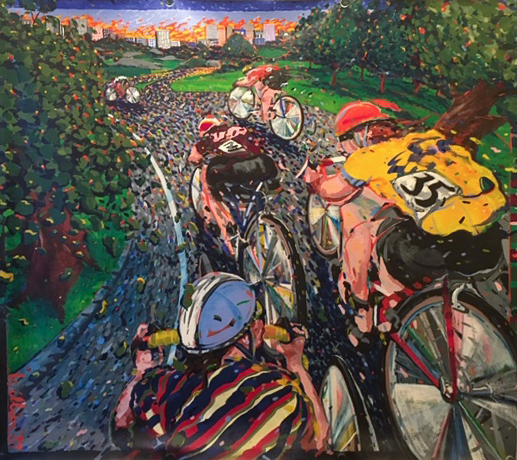 As a cyclist, I am drawn to his cycling-themed work. Learn the basics — and more. If you’re serious about investing significant resources in your collection, become educated on what you like and own. It’s easy: study the schools of art, the artists, their philosophy. I love to do that (even if I can’t buy the pieces!). Understanding how someone comes to create their work is fascinating whether it be Michaelangelo or Barnett Newman. The period in history does not matter; it’s the genius of the artist that informs you. Still, don’t overthink art or take it too seriously! I’ve made mistakes–so what? 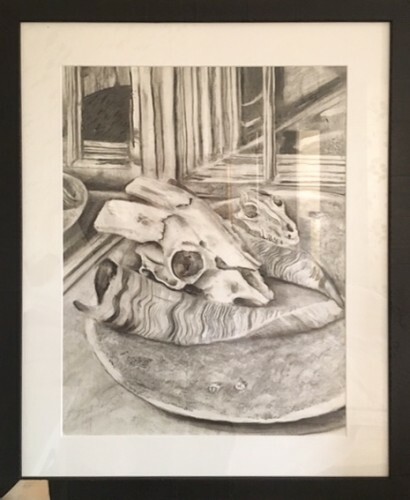 You don’t have to hang everything for the world to see (I have some great pieces hung in my garage–I see them every day and they make me happy). We have done a few great interiors where there is little or no art in the home. Those beautiful interiors have the best furniture, fabrics, architecture, space plan, kitchen and bathrooms, but they feel completely unfinished with and no art on the walls. Why? For some people, the prospect of selecting and acquiring art feels daunting. They may over-worry unnecessarily that art must “match” or perfectly reflect the furnishings or home style. I try to imagine myself in my client’s shoes: I now have a great, new residence, but where do I begin? How do I know what will work? If you own very little and you have lots of new space, it can be intimidating. Take your time. Buy pieces over years, not days. Try to make slow, consistent progress, slowly. Your taste and comprehension will develop; your selections will work. You will form opinions based on your interests, what you want to live with and what you want to invest. You may have rules, but you can break. There’s just one rule: don’t hang your art too high (most people do). What about mass-produced art, like the familiar print above by Renoir? Those familiar prints of works by Monet, the Sargents? You see them in doctor’s offices and nursing homes, in bank lobbies and hotel rooms. I once had a dismissive attitude toward those safe, respectable idyllic scenes — until my elderly mother was living in a nursing home and suffering from dementia. 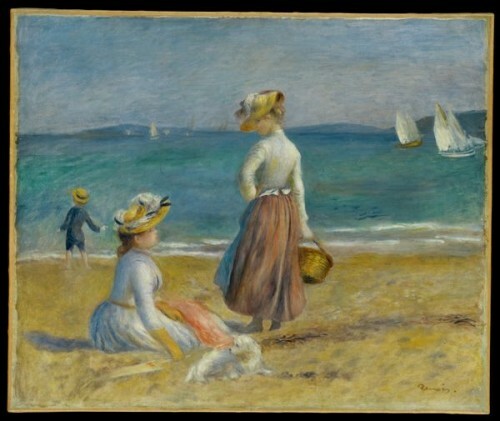 The famous Renoir print above hung on the wall of her room, and she adored it. She even insisted, “that girl moved!” That’s when I dropped my attitude and appreciated how art of all kinds can affect people. It’s not a print I would choose for my home, but I appreciate it nonetheless. In 30 years, I’ll probably appreciate it a lot more! !